I knit, barely. There is however a joy in designing tools for another craft, in expanding upon a traditional form, retaining functionality as well as reflect contemporary needlecraft in all its diversity. 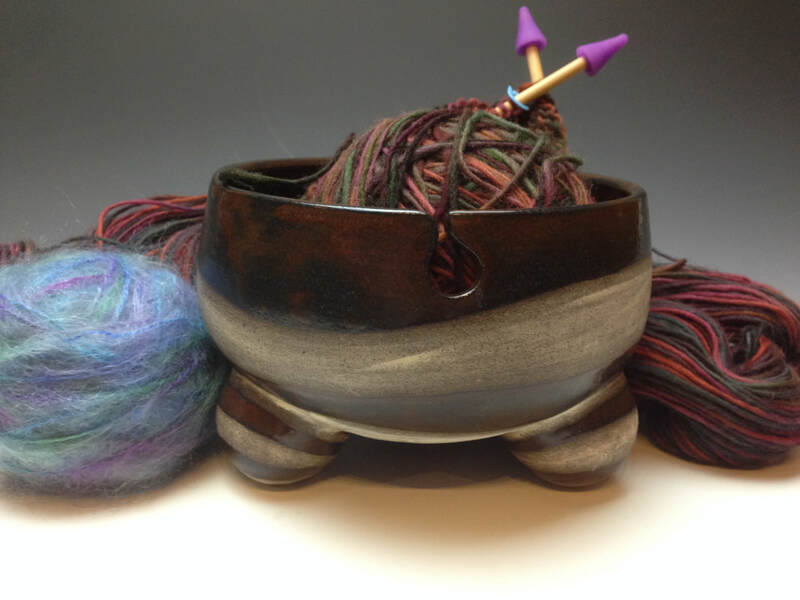 I love designing yarn bowls because, unlike a mug, I don't know immediately and intuitively when I've got it "right". I have to keep asking questions, keep the conversation going a little longer. Given my observations so far, a good yarn bowl must have some kind of notch to feed the yarn and a wide stable base to withstand slight tugs. The bowls I throw are roomy enough to accommodate the chunkiest of yarns while guiding the finest as well.